Grill the burgers over high heat until juices run clear. Top each burger with one slice of cheese and cook until the cheese melts. 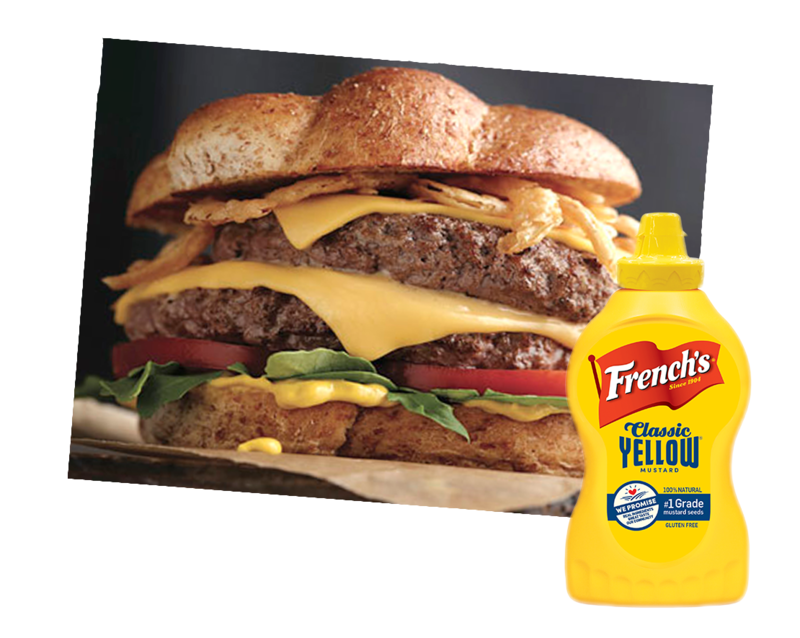 To assemble the burger, spread the French's Classic Yellow Mustard on the bottom half of the grilled bun, followed by the lettuce leaves and a tomato slice and then two of the burger patties. Finish with ketchup, crunchy onions and top of roll.